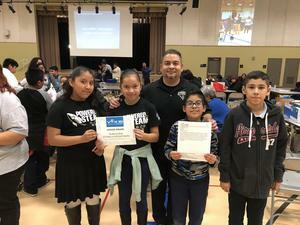 Estrella Elementary Moves on to the Vex IQ Robotics State Finals! On our first year competing in Vex IQ robotics, Estrella secures a spot to compete at the State Finals in San Diego. Go Rockets! SBAC data is demonstrating a 20% growth in students who are at and above benchmark in Math and 7% in ELA. Estrella Elementary School was awarded $25, 000 for new technology through the districts technology grant! Please stop by during business hours for application. Early Dismissal All Week at 12:29 p.m.